Absorbs quickly, leaves no stains. 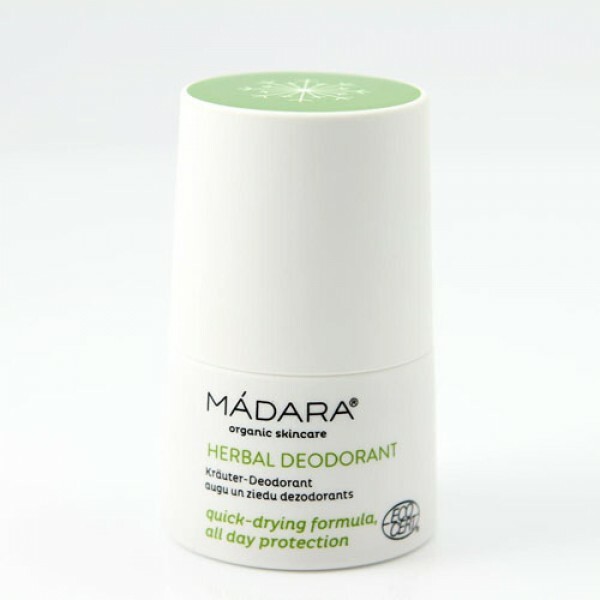 Soothing deodorant with Northern Sage and natural minerals reduces odour and provides freshness all day long. All day protection which is non-staining and quick-drying. 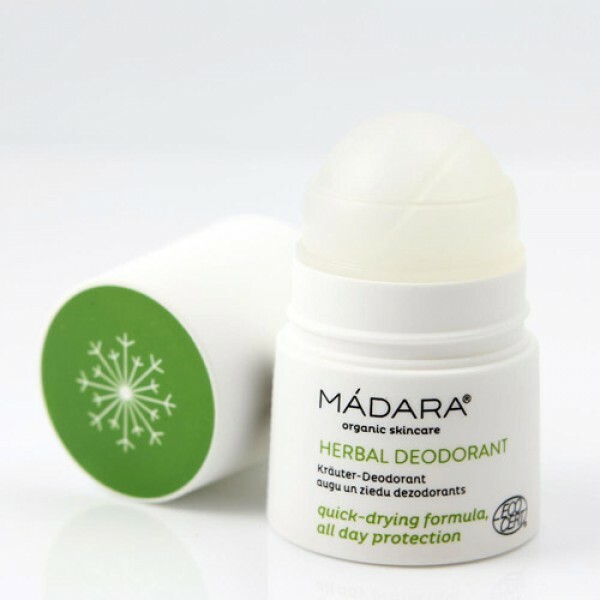 Madara herbal organic deodorant gives all day protection and freshness. A soothing formula that reduces odour without blocking pores. Apply to clean under arms.